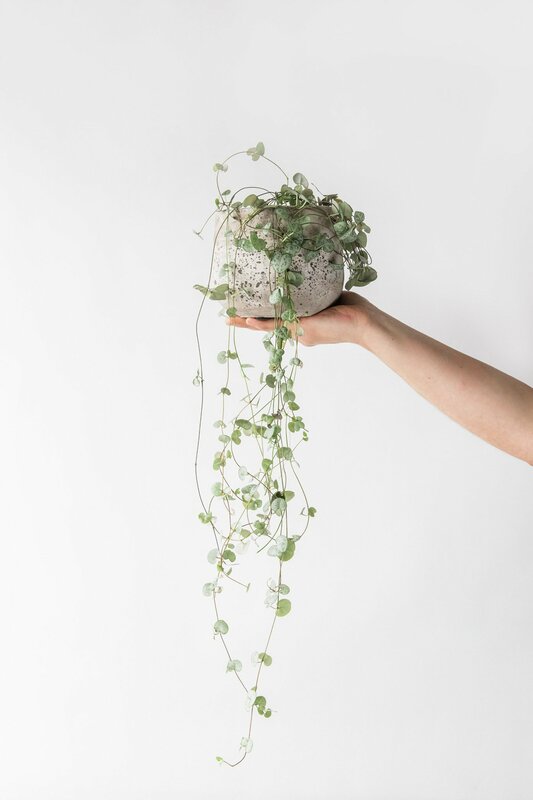 This delicate looking plant called Ceropegia woodii is also named “String of Hearts” and features dozens of small heart shaped leaves on long trailing vines. They do best in partial shade or full sun and hate being over watered. Leave the soil to dry out completely before watering. They also quite like humidity, which makes them perfect for bathrooms (with some bright indirect sunlight!). 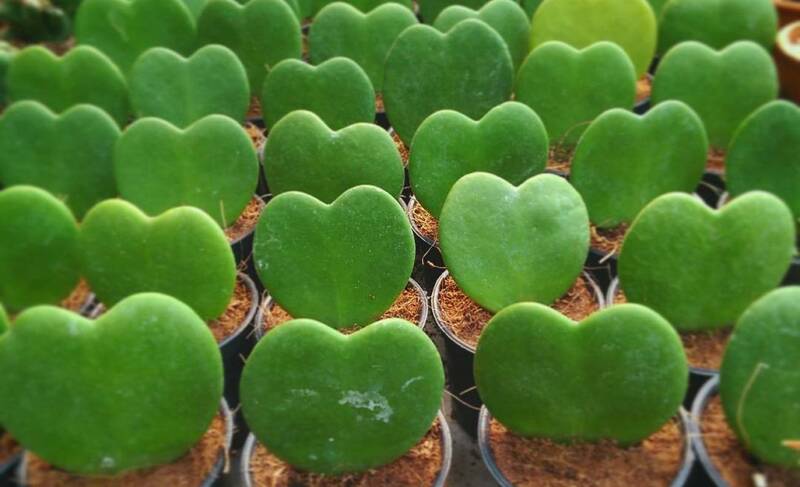 If you visit your local plant shop this week, you have a big chance to find one of these cute Hoya kerri “Lucky Heart” plants. They are sometimes even sold as “heart cactus”, but they are actually not cacti: Hoya kerrii is actually a climbing plant that can grow up to 4 meters high! Usually when you buy them they have only one leaf and only start growing a new leaf a few months later, but once strong roots are established, it will grow new vines quite quickly. To recognize the heart shapes of an Alocasia plant, you need a bit of imagination. Most Alocasia leaves have a slightly sharp <3 shape, but have a look around your local plant shop or garden center and try to find a plant that you love. 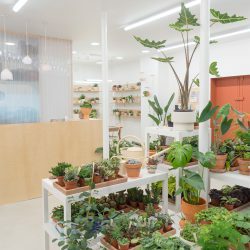 One of the most decorative Alocasia species is the Alocasia zebrina, with its patterned stems, spotted here at the new Leaf boutique in Paris. It is the plant right in front of the red door. 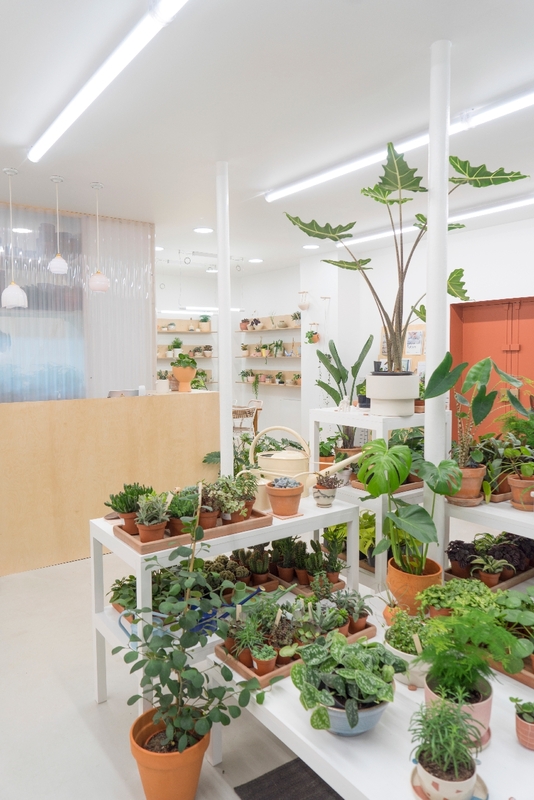 Like most Alocasia, they like humidity, both of the soil and the air, as well as bright indirect light. This tropical beauty will charm anyone with a romantic personality. Its lush green heart-shaped leaves are a perfect match to the bright flowers – mostly in flashy reds or pinks. Even though we think of it as the flower, it is only a so called spathe as the actual flowers are small and sit on the elongated spike shaped spadix. 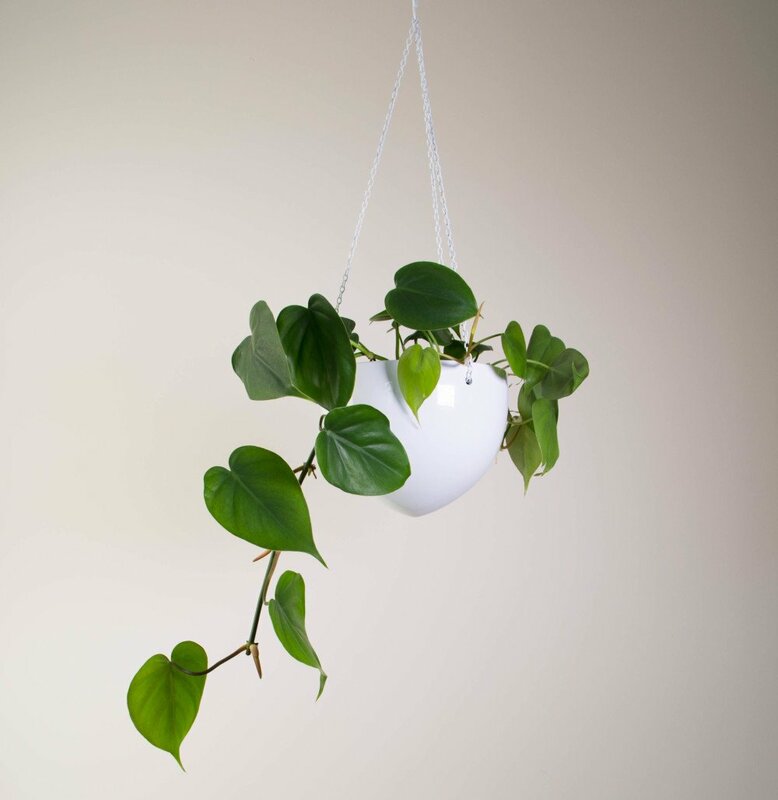 This popular houseplant grows ideally with bright, indirect light and a good soil mix in pots with drainage holes. The plant doesn’t like to sit in continuously moist soil so water it whenever the soil has dried out. Other than that, just give it some extra love and you will be rewarded with bright and beautiful flowers (sort of as we learned)! 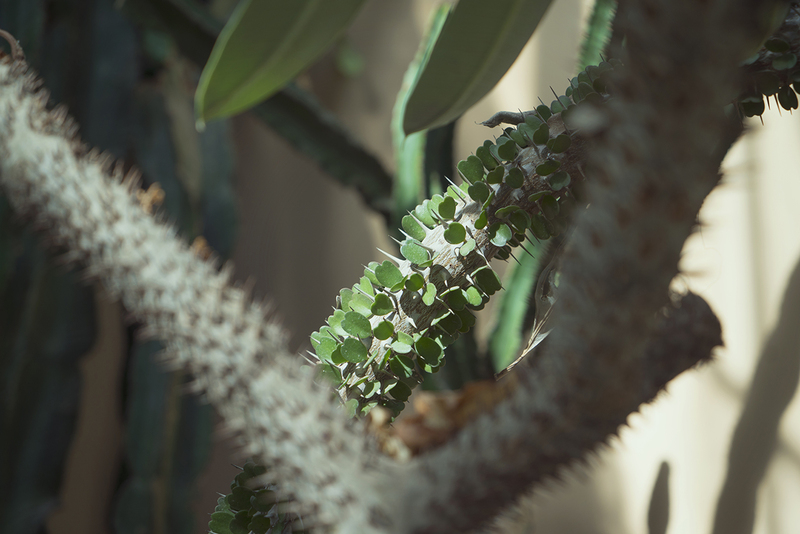 This beauty, called the Alluaudia ascendens, is one of the rarest heart shaped plants in this post: you will most probably see it first in a botanical garden, rather than in your local plant shop. So we suggest to offer your plant-loving friend or Valentine a visit to one of the beautiful botanical gardens in the world. Turn it into a romantic weekend getaway, or simply meet him or her in a botanical garden close by and search for Alluaudia ascendes together. Happy green Valentine’s Day, plant friends!